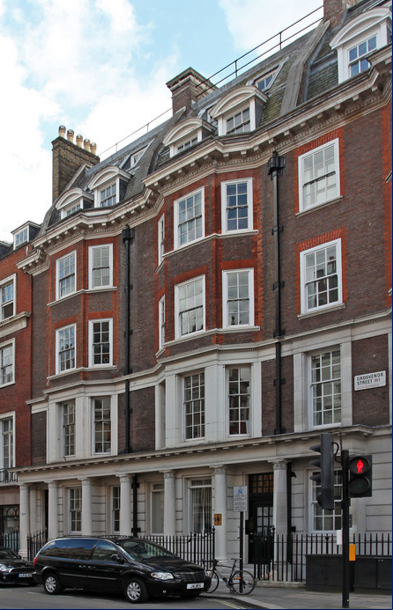 This elegant period building is located in one of Mayfair’s most popular thoroughfares which connects New Bond Street with Grosvenor Square. The building is on the south side close to the junction with Davies Street. Communication links are excellent with Bond Street (Jubilee and Central Lines), Oxford Circus (Victoria, Central and Bakerloo Lines) and Green Park (Victoria, Jubilee and Piccadilly Lines) Stations within close walking distance. The available accommodation comprises the entire Lower Ground & 5th floors. A new flexible lease from the Landlord for a term by arrangement.